Officials must decide how to respond to the protests and violence that can come with free speech on college campuses. Colleges— and specifically campus police— are often caught in the middle of student protests over controversial speakers. Photo by Pax Ahimsa Gethen. Controversial speakers taking advantage of free speech in colleges and universities have forced campus officials to deal with waves of protests and violence in recent years, raising questions of tolerance for free speech on college campuses. Facing what are often massive security costs as well as potential damage to their campus and threats to their community, officials must decide whether or not to put a price on the First Amendment. Regardless of your opinion on the cause of this issue— the growing use of social media, an oversensitive student population, a divisive president— it’s not going away anytime soon. That’s why every school should have a plan to handle these incidents. But before developing those plans, officials must understand the changing landscape of college campuses today. Students On The Free Speech Debate On College Campuses in the U.S. In August, Brookings Institute Senior Fellow John Villasenor surveyed 1,500 undergraduate students around the country with questions related to free speech in colleges and universities. The results were alarming for proponents of the First Amendment. Below are the results of one question. Source: August 2017 survey of 1,500 undergraduate college students at public and private four-year colleges and universities. Conducted by Brookings Institute Senior Fellow John Villasenor. Less than half of students in all three political designations understood that the First Amendment protects hate speech, including less than a third of all female respondents. Perhaps the most alarming aspect of these results is that over 60 percent of students who identify as Democrats find this behavior acceptable, and nearly the same percentage of males (57 percent) find it acceptable. These results show a real divergence between the college environment preferred by a significant percentage of students and one that protects free speech on college campuses at all costs. 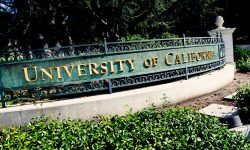 Another study by the Higher Education Research Group found a record level of polarization among incoming college and university freshman in 2016 along with rising levels of civic engagement, indicating students are entering college more likely to take part in protests. Although lawmakers have had much to say on the issue of free speech on college campuses, official guidance to universities has been lacking. The First Amendment, of course, doesn’t exclude hate speech. There have been a few instances where the Supreme Court limited the freedom of speech, but most rulings have been subsequently interpreted differently and are typically not thought to have merit in the free speech on college campuses debate. 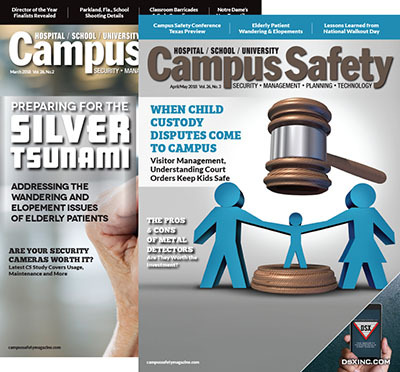 Campus Safety does not give legal advice, but one of the few limits to freedom of speech that’s worth noting here is the 1969 Brandenburg v. Ohio Supreme Court ruling, which determined that speech “directed to inciting or producing imminent lawless action and is likely to incite or produce such action” is excluded from the First Amendment. Unfortunately, there’s been very little official guidance from lawmakers on how schools should respond to controversial speakers on campus, putting administrators in the predicament of weighing the pros and cons of free speech on college campus then trying to justify their decision in the face of threats of a lawsuit (we discuss lawsuits in more detail later on). That lack of guidance has led officials from different colleges to take different approaches when controversial speakers like Milo Yiannopoulos and Richard Spencer are invited to their campus. At a hearing on free speech in colleges and universities hosted by the U.S. Senate Judiciary Committee in June, American University Vice President of Campus Life Fanta Aw said she’d prohibit people from speaking on campus if their speech had the potential to provoke violence or poses a direct threat to someone in the community. But Senator Richard Durbin (D-Illinois) said he disagreed with that reasoning because it was highly subjective. Another lawmaker at that hearing, Senator Charles Grassly (R-Iowa), criticized the idea that speakers should be considered by colleges on a case-by-case basis. Senator Dianne Feinstein (D-California), on the other hand, said it’s unreasonable to force colleges and universities to accommodate all speakers on campus, pointing to the vast resources required to deal with the likely protests and violence that some speakers provoke. “The fact of the matter is that there are certain occasions on which individuals assemble not to act peaceably, but to act as destructively as they possibly can,” Feinstein said. Following Auburn University’s decision to ban white nationalist Richard Spencer from speaking on campus, the person who invited him to speak sued the school. Shortly after the lawsuit’s filing, a U.S. District Judge barred Auburn from blocking Spencer, saying there was no evidence Spencer advocates violence. “Discrimination on the basis of message content cannot be tolerated under the First Amendment,” the judge wrote in his ruling. Spencer spoke amid protests that campus police said remained largely peaceful. 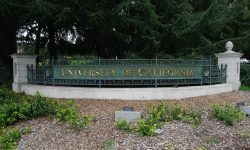 UC Berkeley police dealt with protests during an unofficial Free Speech Week on campus in September. Photo by Pax Ahimsa Gethen. 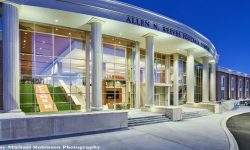 Emboldened following the district judge’s decision in the Auburn University case, Spencer has since threatened a lawsuit against other public universities. When the University of Florida initially blocked his planned speaking event, he threatened to sue the university, alleging that the school was violating his freedom of speech. The university relented and allowed Spencer to speak. The event cost UF $500,000 in security fees. “I really don’t believe that’s fair to the taxpayer, is now subsidizing through these kind of events the security and having to subsidize his hate speech,” UF President W. Kent Fuchs said following the event. In October, the person who invited Richard Spencer to Ohio State filed a lawsuit against the university when officials denied him venues for the event on three separate occasions. The resident who filed that lawsuit also filed one against Penn State University in the same month after PSU President Eric Barron said a Spencer talk would be a security risk for the campus. By focusing on security costs and explicitly stating that Spencer’s views did not play a role in their decision, PSU tried to avoid Auburn’s fate should the decision be challenged in court. 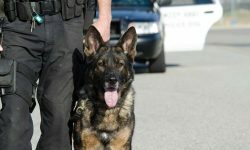 Other schools, such as the University of Maryland, UC San Diego and Cornell University, have passed off partial security costs to students. This has been a controversial practice that some consider a form of unconstitutional censorship, citing the 1992 Supreme Court decision Forsyth County v. Nationalist Movement. New Mexico State University Police Chief and CS contributing writer Stephen Lopez recommends institutions consult with legal counsel to ensure any charges meet Forsyth requirements. Some are pessimistic about what the future holds for free speech on college campuses. So where will the debate over free speech on college campuses go from here? That question is the subject of much discussion among campus officials. “It’s the No. 1 topic of the year, I would say, for folks in my business,” said Kevin Kruger, president of the Student Affairs Administrators in Higher Education. Some officials are calling for a consensus on how to handle controversial speakers. “There has to be a national dialogue among universities and across the country on how we can guarantee the ability to express your opinions and also to know that students can come to school and stay alive and well,” Napolitano told Politico. But Napolitano and other college officials also stressed the importance of educating students on the First Amendment and free speech on college campuses. “What we’re trying to do is to teach the students you can have civil discourse, that you can disagree with each other without being disagreeable,” Steven Leath, president of Auburn University, told Politico. College officials may disagree on how dangerous protests and other forms of political activism will be in 2018. They may also disagree on where a policy for handling controversial speakers should come from (be it Congress, the courts, or campus officials). One thing that’s not up for debate, however, is that colleges have a lot to sort out to ensure a safe and open campus environment going forward. We wish them luck. In this case part of the opinion reads, “The District Court concluded that the action of the school authorities was reasonable because it was based upon their fear of a disturbance from the wearing of the armbands. But, in our system, undifferentiated fear or apprehension of disturbance is not enough to overcome the right to freedom of expression. Any departure from absolute regimentation may cause trouble. Any variation from the majority’s opinion may inspire fear. Any word spoken, in class, in the lunchroom, or on the campus, that deviates from the views of another person may start an argument or cause a disturbance. But our Constitution says we must take this risk, Terminiello v. Chicago, 337 U.S. 1 (1949); and our history says that it is this sort of hazardous freedom — this kind of openness — that is the basis of our national strength and of the independence and vigor of Americans who grow up and live in this relatively permissive, often disputatious, society”. These free speech issues are difficult at best to understand and deal with. It really doesn’t matter how you approach it there will be litigation, on that you can depend. I think the best any of us can do is to come to a reasonable process that applies equally to all speakers and try to apply it equally. The line in the sand should always be that when there is violence it should be abruptly stopped and those responsible should be held accountable. Unfortunately none of us has a crystal ball. Any of these speakers or events have a potential to become violent, especially if we head down that slippery slope of allowing groups of people to decide what should and should not be heard through their use of violence and disruption.